Uromunna naherba male and female crustaceans, illustration. This is an isopod crustacean. The male is at left. The female is at right. 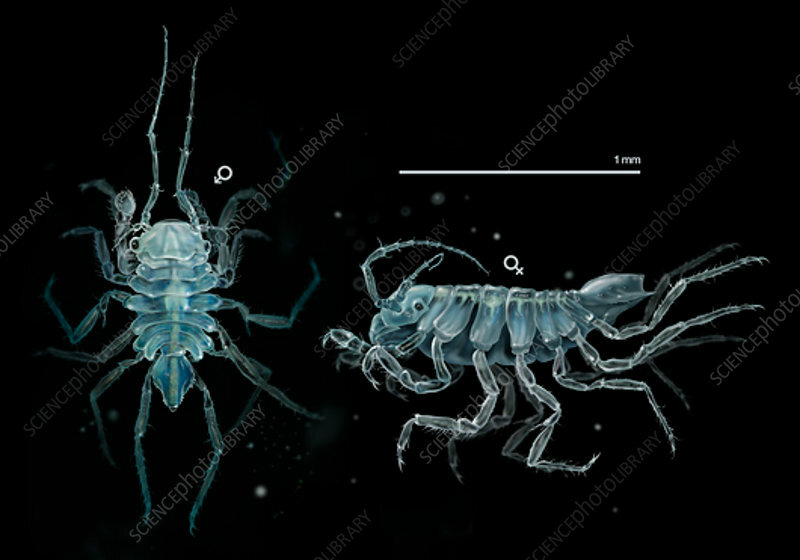 These crustaceans form part of the marine zooplankton. This species is a newly discovered one, with the discovery announced in 2015. It was discovered in the waters off Galicia, in north-western Spain.